Welcome to First Baptist Loudon! Our prayer is that your worship experience with us will be a blessing. First Baptist Church (FBC) Loudon is a Bible teaching church where God's Word is our guiding direction. We are committed to serving Him and serving one another in love. We believe your family will find a welcoming Sunday School class, worship service, and church-wide activities in which to participate at FBC Loudon. We invite you to worship with us and build on your personal relationship with Jesus Christ. First Baptist Church is currently seeking a part-time minister of music. Please call the church office @ 865-458-4373 or send your resume to fbcloudon@bellsouth.net. 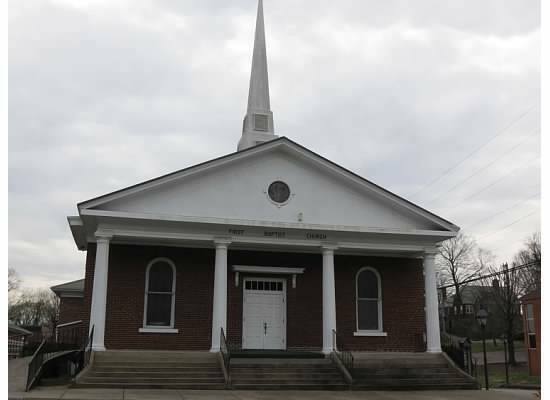 FBC Loudon is affiliated with the Tennessee Baptist Convention and the Southern Baptist Convention.